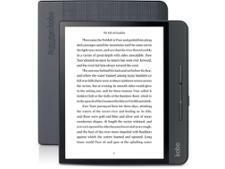 Amazon Kindle Versus Kobo Ebook Readers - Which? Kindle or Kobo? We've compared the top ebook reader brands head-to-head to explore the pros and cons of each. Amazon and Kobo are the largest companies of note still creating new ebook readers. 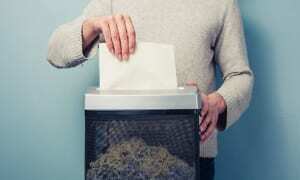 But which is the best brand to opt for? Amazon's Kindle range, which includes the entry-level Kindle, Paperwhite and premium Oasis, remains the top choice for buyers looking for a new ebook reader. Even so, Kobo is now a big contender to Kindle's crown, with a full range of its own devices on the market. Listed below are the reliability scores and customer satisfaction scores from Which? members for Amazon Kindle and Kobo, and our verdict on whether ebooks from each brand are worth considering. Scroll down for the details. Look at our Best Buy ebook readers reviews to find out which models top our tests. Which? members can log in to see the brands behind the scores. If you're not already a member, join Which? to unlock all our reviews. 77% This brand has yet to produce an ebook reader that has scored less than 70% in our test lab. Which? members also have positive things to say about the brand, and ebook readers from this brand last for a long time. 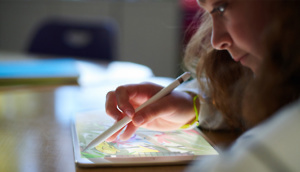 Just 9% of this brand's ebook readers experienced a fault in the first four years of ownership. 64% This brand can't match its main rival when it comes to customer score, but has a higher average test score. The company's devices are less reliable, though - 20% of its ebook readers experienced a fault in the first four years of ownership. 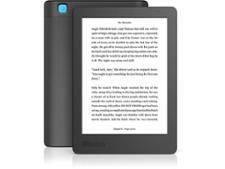 Amazon has released several iterations of its popular ebook reader. From the cheap and cheerful Kindle (2016) to the rather pricey but water-resistant Kindle Oasis, there's a good selection of models to choose from. The depth of the Amazon Kindle range means that you're likely to find an ebook reader perfectly suited to you, regardless of your budget. We take a closer look at the pros and cons of the Kindle range, below. 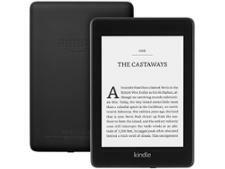 Interested in a Kindle ebook reader? Take a look at our Kindle reviews page for more details on the latest and greatest. Kindles have easy access to a huge range of titles via the Kindle Store. Amazon tends to have the greatest range of ebooks, also offering free classic books. Amazon's ebook readers are ideal if you enjoy reading the news on the way into work, with access to UK and international papers and magazines on the Kindle bookstore. There is a good range of Kindles to choose from, whether you opt for the budget-priced Kindle (2016) for around £60 or the Oasis, which will set you back closer to £230. Kindle apps are available to download for Android and iOS smartphones and tablets, which means you can read on your Kindle then pick up from where you left off on your mobile. Even if you forget your Kindle, you won't be left without a good read. On the subject of accessibility, the latest version of the Kindle arrives with Bluetooth,which means you can listen to narrated versions of your books from the Audible service, or simply use text-to-speech to have the Kindle itself read the text aloud. You also get access to the £9.99 a month Kindle Unlimited service, which unlocks a million books included with the subscription, along with audiobook editions. You can share your Kindle library with other people living in your household through Family Libraries. Kindles can't access the popular ePub format that lets you borrow ebooks from your local library and buy from third-party stores. If you prefer to borrow rather than purchase, you'll find the Kindle disappointing. Meanwhile, Kobo's range of ebook readers do support the format. If you buy a Kindle, it's hard to swap brands in the future because your virtual library will use the AZW format, which isn't compatible with other brands. While Sony and Barnes & Noble have waved goodbye to ebook readers, Kobo is still releasing new models to offer alternatives to Amazon's Kindle range. The company also has its own smartphone and tablet offering in the form of an app, which is home to over 4 million paid-for and free titles. Kobo ebook readers are compatible with the ePub format, so you can borrow books from the library via the Overdrive system (if your local library supports it) and buy from different ebook stores. This sets them apart from Kindles, which are a little more limited when it comes to compatibility. The Kobo store has over four million titles, and a good selection of those are older books that are available to download for free. Some Kobo ebook readers come with unique features, with waterproofing and light colour adjustment for more comfortable reading. Kobo doesn't support audiobooks, so if you prefer listening to reading, you might be better off with a Kindle or an MP3 player.